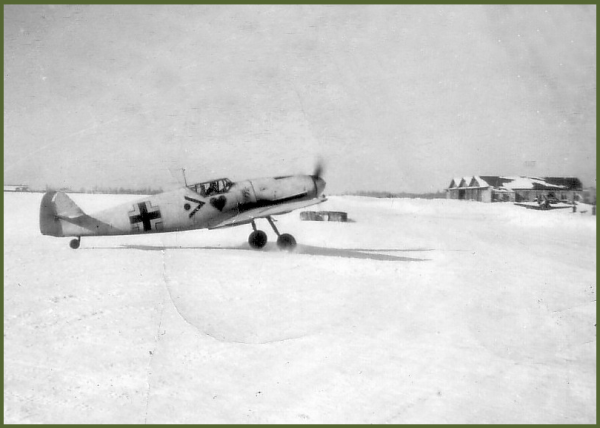 ".. Es ist wider mal dicker Luft an der Ilmenseefront....aerial activity over the Lake Ilmen front has once again hotted up as the Soviets seek to break through with a massive deployment of men and materiel. 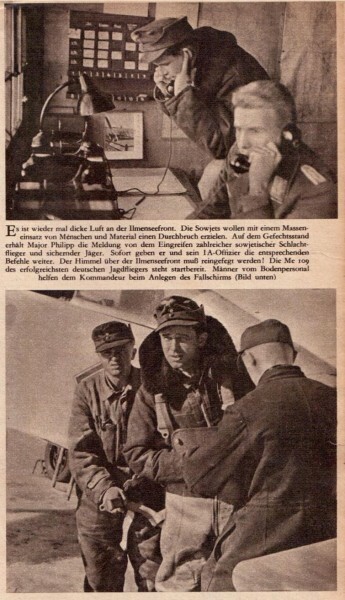 In his command post Major Philipp takes the call reporting raids by large numbers of Soviet ground attack aircraft escorted by fighters. 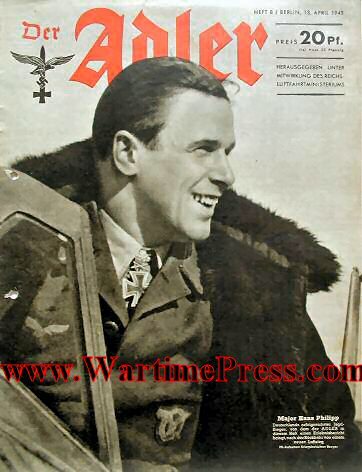 Immediately both he and his IA relay the appropriate orders - the skies over the Lake Ilmen front must be swept clear! 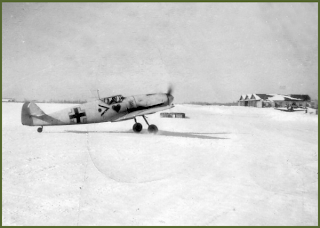 The Me 109 of the leading German fighter pilot stands ready for action. 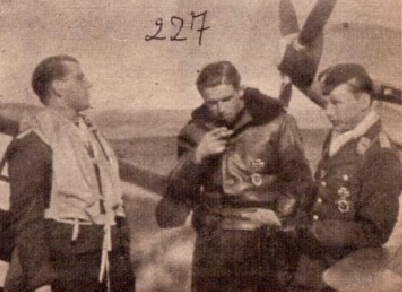 Men of the ground crews help the Kommandeur secure his parachute..."
"...left; given their broad smiles one of the two men has cracked the joke, but was it Oberstleutnant Trautloft, Kommodore of our leading Jagdgeschwader or was it his Gruppenkommandeur Major Philipp ..?.." "...a lull in the fighting! ..after a hard-fought combat, that cigarette tastes just fine, as the victor in over two hundred air battles has downed four more Soviet aircraft on his birthday......PK pictures Kriegsberichter (war reporter) Berger..."
On his 26th birthday -17 March 1943- Hans Philipp claimed four more Soviet aircraft shot down and took his total to 203. 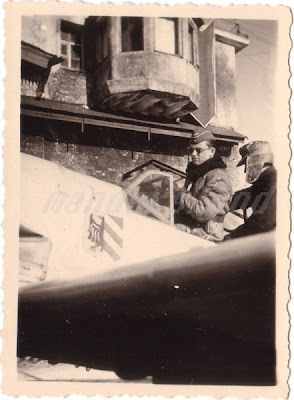 This made him the highest scoring fighter pilot in the entire Luftwaffe. While JG 52's Hermann Graf was the first to reach the 200-mark on 2 October 1942, he had immediately been taken off operations and had not returned any victories subsequently..